When it comes to design Sony Ericsson appear to be on a roll. The Xperia X10 is probably one of the best-looking touchscreen devices on the market and the smaller X10 mini follows suit, delivering a device capable of one-handed operation in a tiny, slim but practical form-factor. 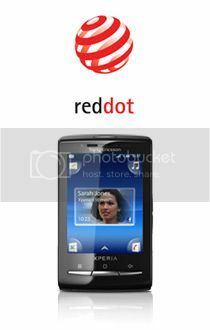 It’s no wonder than that Sony Ericsson has beaten designers from 57 countries to win the 2010 red dot product design award. Let’s hope their eye for touchscreen design continues for future Xperia devices.